Abstract: Xeroderma pigmentosum is a rare autosomal recessive genetic disease characterized by extreme sensitivity due to solar radiation and deficiency in excision repair DNA. Those factors promote a set of skin abnormalities such as keratosis, hyperpigmentation, tumors in areas exposed to sunlight, and ocular and, eventually, neurological disorders. 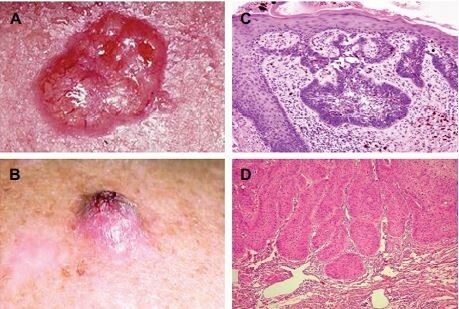 In the present review, we summarize the main clinical features related to a case of xeroderma pigmentosum in a man who was not diagnosed until he was 45 years old.